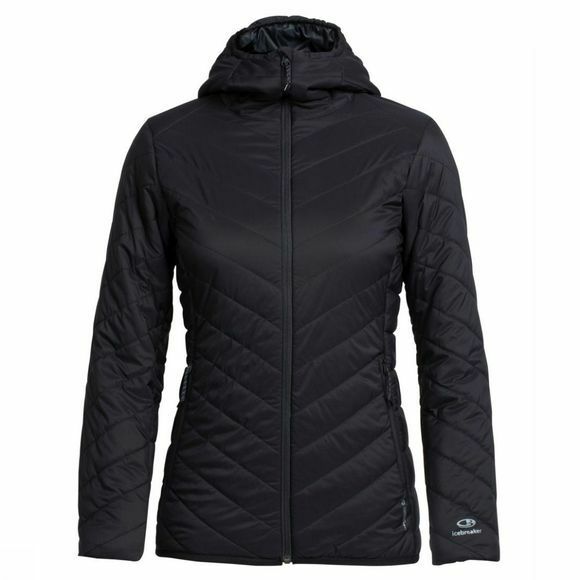 A toasty and technical hooded jacket designed for climbing, skiing and other mountain adventures where you need both warmth and lightweight packability, the Hyperia Hooded Jacket is an alpine essential with a flattering feminine fit. The Hyperia’s ultralight yet durable Pertex® Quantum Air shell features a DWR finish that sheds wind and light precip when conditions change unexpectedly. Inside, Icebreaker used innovative MerinoLOFT™ insulation, a sustainable and high-lofting alternative to synthetic fills made from all-natural merino wool (up to 10% of which is recycled). MerinoLOFT retains warmth when wet and naturally helps regulate body temperature to keep you comfortable, whether you’re belaying on a multi-pitch climb or skinning along a backcountry ridgeline. 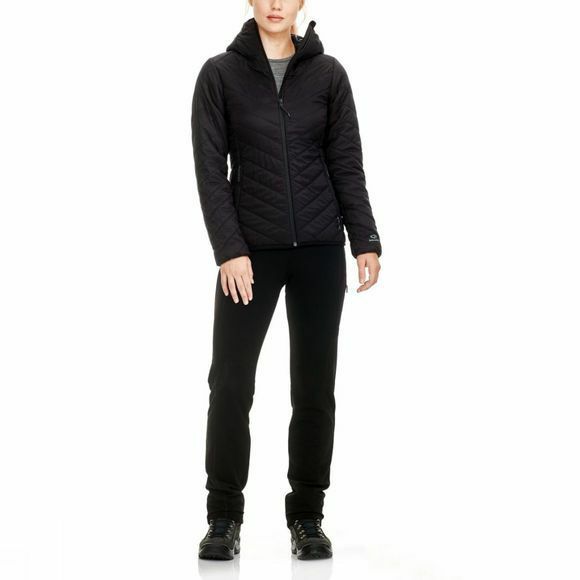 The snug-fitting hood blocks the weather and adds insulation, zippered hand pockets and an internal zip pocket store small essentials, and offset shoulder seams eliminate chafing when you’re wearing a pack.